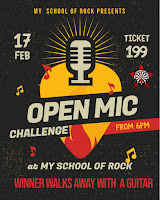 My School Of Rock presents Open Mic Challenge - A place where talent meets opportunity and a new star is born. 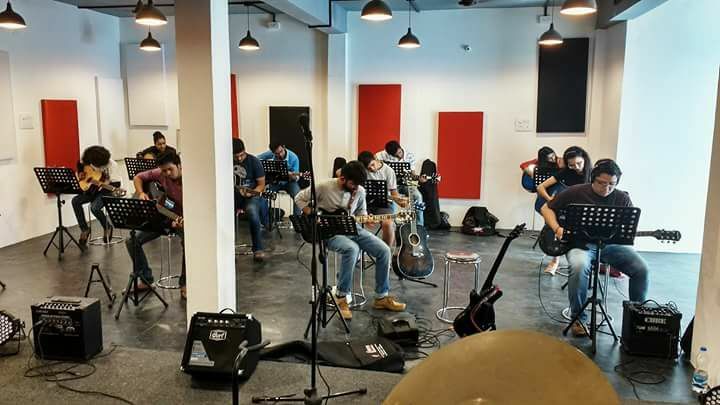 We welcome all the budding musicians to perform any piece of music(2 Songs Max) @ the Hendrix Arena. Best Performer walks away with a "Guitar". Registrations opens @ 5.30 p.m, show starts @ 6p.m. The audience and the performers get to vote for the best performer of the evening and the performer with the maximum vote wins.